Fancy a ride on a bamboo bike? AJ+ went to Ghana to meet Bernice Dapaah, who welcomed us on her bicycle. The Ghanaian does business the green way. 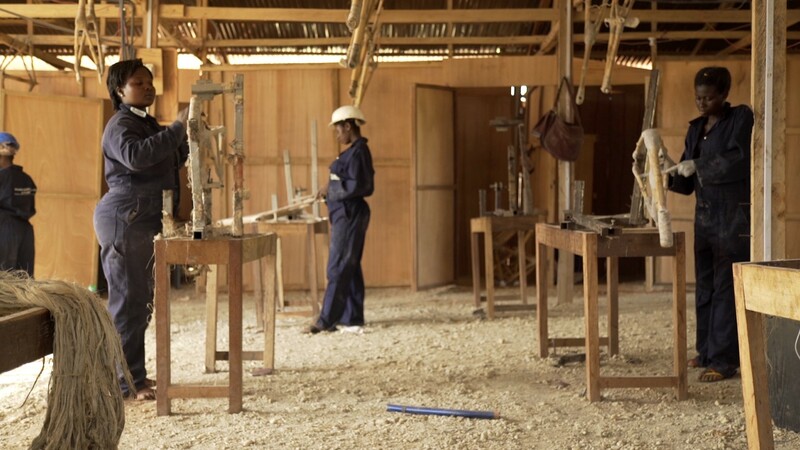 She grows bamboo and transforms it into bikes in her hometown of Kumasi. Six years ago, just before she graduated with a degree in Business Administration, Dapaah decided to do something on her own. “My grandpa actually inculcated me the spirit of doing something in your own,” she said. So she set up the Ghana Bamboo Bikes Initiative. Her goal was to empower the youth in this area — where finding a job is difficult — and at the same time use locally sourced materials. And what better raw material than bamboo? It’s sustainable, durable, cheap and recyclable. And in the southern Ghanaian city of Kumasi, you can find it at the local farm. Just like the bikes, the idea itself is recyclable. “I got to know that bamboo bike was there in the 80s, they launched it, but people didn’t take advantage of it,” she said. But today people are. 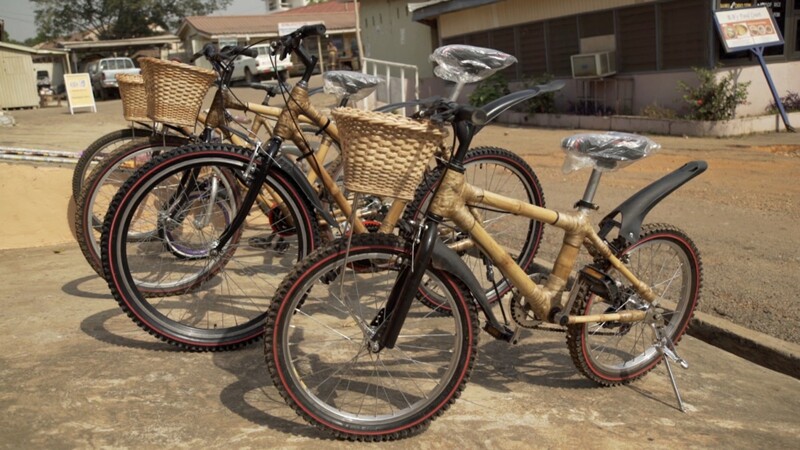 The market for bamboo bikes is booming in Ghana and throughout West Africa. To meet the demand, Ghana Bamboo Bikes Initiative has trained and employed 35 young men and women. “We’re engaging women on board to see how best they can do something on their own, rather than being at home looking after their husband,” she said. Dapaah is planning to open two more workshops in the Brong-Ahafo Region of Ghana and hopes to employ 50 more young people. Dapaah’s bamboo bikes sell for $120, around $40 more than a steel-framed bike would cost, she says. But the real savings come with the reduction in greenhouse gases. Compared to a traditional bicycle, bamboo bikes help reduce carbon emissions by up to 70 percent, according to Dapaah. And after cutting down one bamboo plant, her team makes sure to plant ten more. 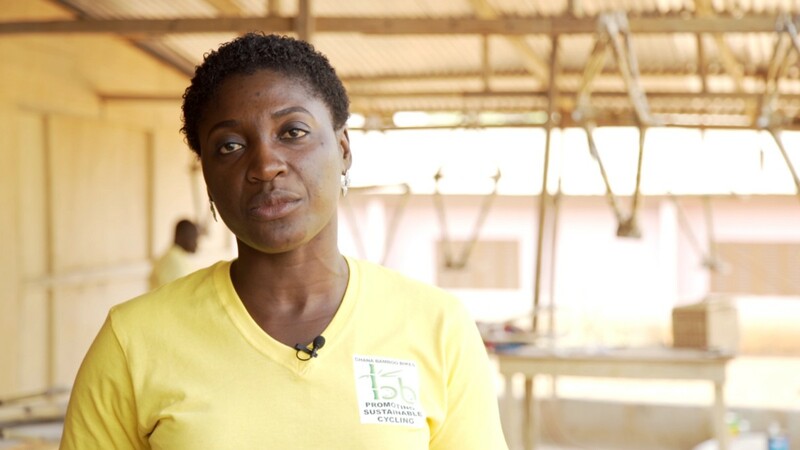 Bernice Dapaah is a social entrepreneur: she is making money from her business but also wants to make sure that others benefit from the production. So she is donating bikes to kids in Kumasi to make their trips to school easier. “I can remember when we were in school, we couldn’t get the chance to go to school early. We were always late, which was distracting our academic performances,” she said. Today, the Bamboo Bikes Initiative is selling bikes all around the world. “We have customers both in local and international platforms. We sell our bicycles in Europe, we sell it in the U.S., Israel and different countries,” Dapaah said. Since she started the initiative, Dapaah has received international recognition for changing the face of transport in her country. She has also been named an ambassador of the World Bamboo Organization. Click here to visit the website of the Ghana Bamboo Bikes Initiative if you want to learn more.